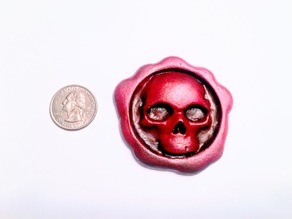 Separated just a single skull seal, scaled to 50mm wide. printed at a .1 layer height on my prusa i3 mk3. Was primed, painted, and had parchment scripts attached.